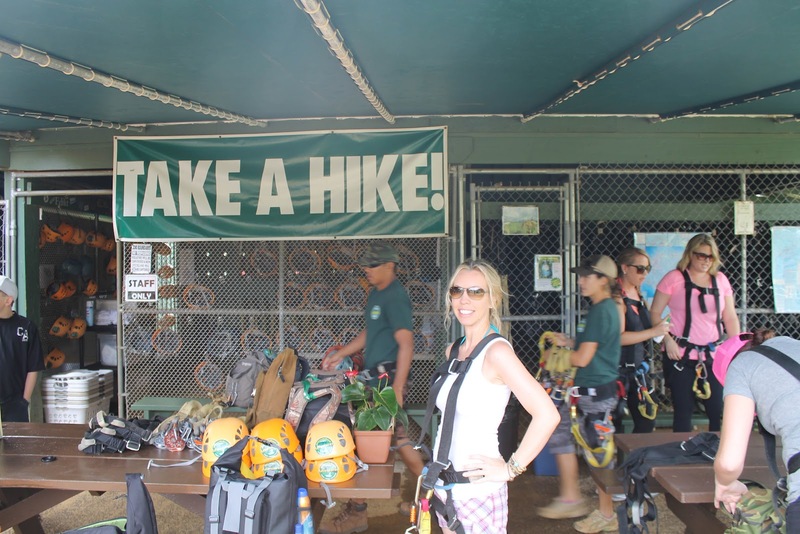 I’ve done a fair amount of adventurous things in life, but one activity still lingering unchecked on my bucket list was ziplining. Technically, I’ve been on small ziplines while away at summer camp, but they didn’t include surfing the rainforest canopy. 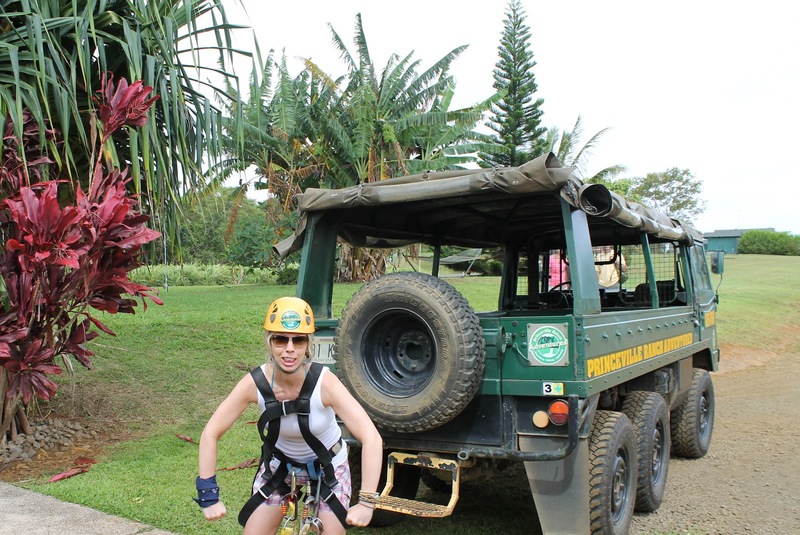 I had always assumed my first real zipline experience would happen in Costa Rica, as the prominence of them exist in every corner of the country. While I arguably would have thought Costa Rica’s beauty would trump, there’s no way their ziplining collection could be better than that which we experienced in Kauai. 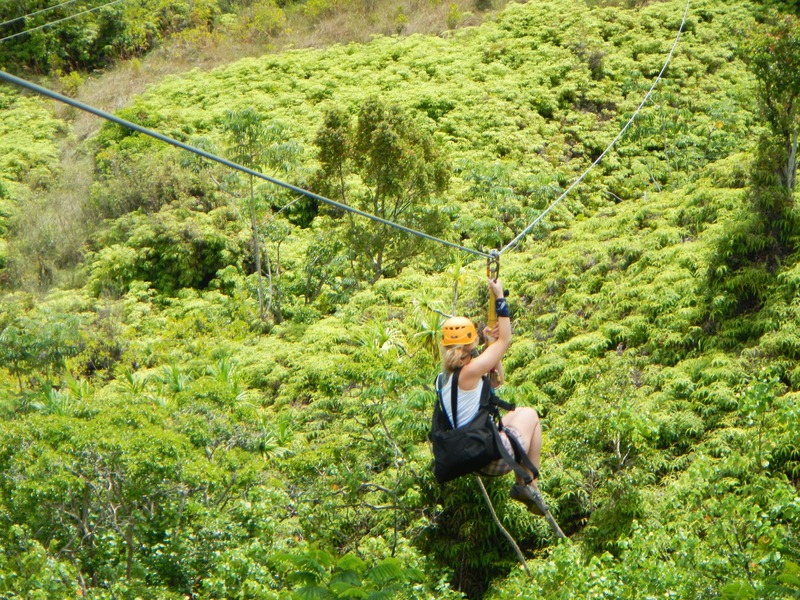 Aside from the fertility of the surrounding forest, the length and height of the cables added to the adrenaline rush, and the overall number of cables and duration of the tour offer you the most bang for your buck. 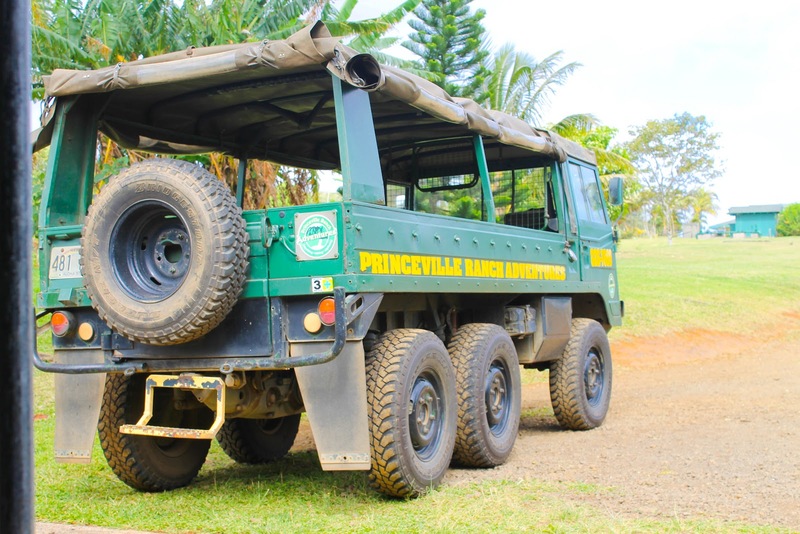 Princeville Ranch Adventures provides a Zip n’ Dip Expedition on their 2500 acres of private land on Kauai’s north shore. 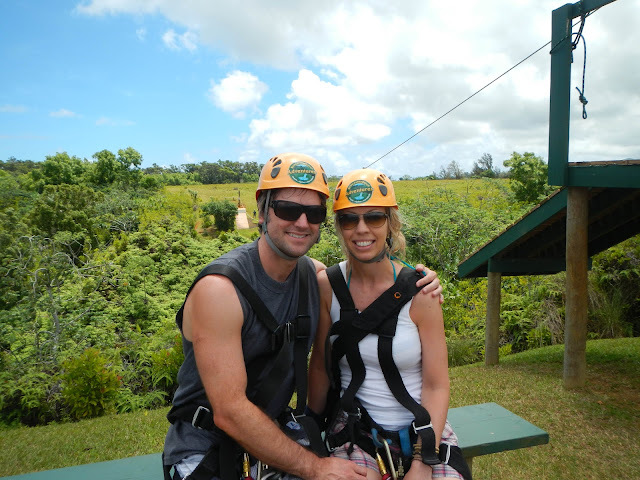 The tour includes 9 exhilarating zip lines and a suspension bridge through treetops and over a waterfall, followed by an hour lunch at a deep water fall swimming hole with inner tubes. 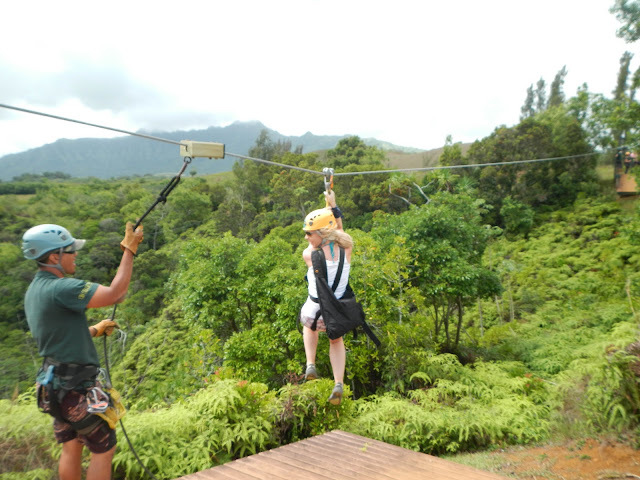 The tour concludes with Princeville’s pride and joy, the King Kong – the tallest and longest zipline of them all. Weighed and then outfitted with harnesses and helmets, we jumped in an old army-style vehicle to bump our way up to the top of the valley we were going to zip down (apparently, the same valley where Tropic Thunder was filmed). Before our descent, we were prompted for introductions and to share something special about ourselves. Pete stole the thunder with, “My name is Pete and I’m from Houston…the only thing special about me, is Mandi.” With predominantly women in tow, there was a embarrassment of awe’s following that moment, while I blushed. Our group of 12 was a sure enjoyable and interesting sort: 5 college girls, a family of 5, and the two of us being the only honeymooners. Katie, a 23-year old from California, was the most targeted for playing tricks – she was a great sport and we hit it off quite well. Ben, the only qualified “child”, was timid to begin with but soon fought to be first in line thereafter. With the help of the landscape, our guides, Leo and Amber (aka Sweet Amber), truly made the adventure worthwhile – made the tour that must more interesting by including educational mentions regarding plant life and information about various aspects of their heritage and culture. If there were suggestions made to increase speed, Pete and I were sure to execute. If dares of crossing the suspension bridge with no hands were at all mentioned, again, we took to those challenges. 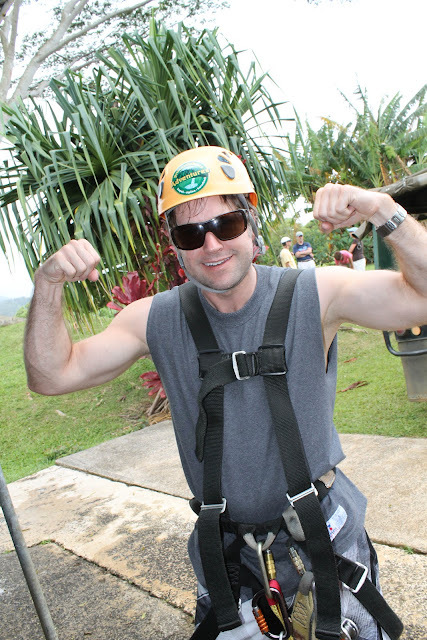 Pete stole the show again when he got stuck in the middle of a 1200’ zipline – missed the rope at the platform and went backwards, resulting in a look of horror on everyone’s faces. Leo shimmied down the line to Pete’s rescue and pulled him into home – worst part for Pete being the “super wedgey.” We had beautiful views down the valley, luxuriant with trees and rivers – it was a great rush and just plain fun. It’s a bit pricey and that made me apprehensive prior, but all in all worth the expense! I’m glad I can now add zip lining to the list of adventures I’ve been lucky enough to have. 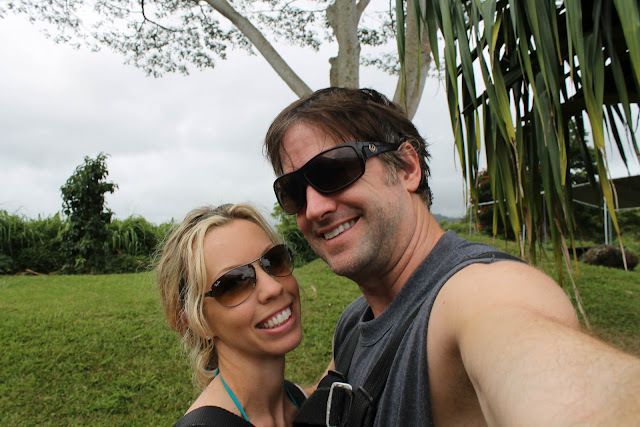 A grateful thank you to my husband for coordinating such a wonderful voyage!